This book is both a good introduction to Chinese philosophy and an invaluable reference tool for sinologists. 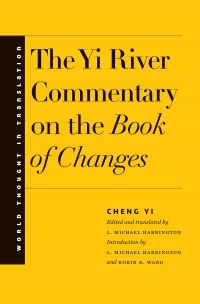 Comments by important Chinese thinkers are arranged around sixty-four key concepts to illustrate their meaning and use through twenty-five centuries of Chinese philosophy. This unique guide was prepared by Zhang Dainian, one of China’s most famous living philosophers. Zhang reaches back to include concepts in use before the oracle bones (c. 1350–1100 B.C. )—what could be called a philosophical “prehistory.” But the focus of the work is those concepts that gained currency in classical Chinese philosophy, especially those whose meanings are deeper and more difficult to grasp. Translated and edited by Edmund Ryden in consultation with the author, the book also includes helpful introductory commentary by Ryden for each section. Zhang Dainian is professor emeritus of philosophy at Beijing University. Edmund Ryden is director of the Cross Cultural Centre, Fujen Catholic University, Taiwan.